Flushing a toilet is one of the major uses of water in the home, accounting for up to 30% of all water usage. A single flush toilet can use up to 13 litres of water per flush and over seven million of these are installed in UK homes. Reports indicate that using a dual flush as opposed to a standard system can actually save 70 per cent of water usage than a standard flush. The dual flush is designed specifically to save water by giving you the option to flush for solid or liquid waste. For liquid waste a minimal amount of water will be used compared to the larger flush, therefore you can choose the appropriate flush each time you go, instead of using a full tank flush when its not required. Over 50 per cent of water can still be saved even with the full flush option, which uses just 6 litres, while the half flush will use just 4 litres. The water saving is so big that some countries suffering from water shortages have even passed laws to make sure dual flush systems are installed to help reduce the amount of unnecessary waste. And with emphasis on the environment still a priority, you can do your bit for the environment while also saving on your water bills. The dual flush comes in an array of models and designs, and companies who have realised their popularity are competing to make them look as nice as they can. Modern and novel designs, there will be something to suit everyone’s tastes – another positive for choosing them with your new system. One important point to note is that the systems can be difficult to install, as they are more complicated than a standard toilet installation. This just means you will need to ensure you get a professional and qualified plumber to install it, ensuring it is done correctly and hassle free. Being more environmentally aware is extremely important at a time when natural resources are constantly strained. Reserving what we have is essential and, although initial installation costs will be higher than a standard system, in the long run the water savings and cost savings you will make year on year will outweigh the early outlay. Condensing boilers were introduced to the UK domestic market around 20 years ago and are the most highly efficient boilers available. A Condensing Boiler recycles flue gases that would normally be wasted, meaning that less energy is required to power your boiler, and as a result reduces carbon emissions and will significantly reduce fuel consumption costs. Reports state that every year a condensing boiler could save up to 1.7 tonnes of carbon dioxide and for this reason condensing boilers must now be fitted by law. In some cases they can improve efficiency up to 90%. There are different types of condensing boilers which can be installed into a residential property, the main ones are Combi, System and Regular. There are some differences between types however and who they will benefit which will need serious consideration when deciding to renew. For expert boiler servicing and maintenance, contact Home Cure today. The combi boiler is by far the most popular choice of boiler in the UK, especially within the domestic sector; it’s small and, as the name suggests, combines two elements into one compacted unit; central heating and high efficiency water heating. As well as space savings this model makes significant savings on hot water costs because hot water is delivered through taps and showers at mains pressure, taking away the need for a pump. The boiler is easy to install, requiring less time, and as no tank is required there is no extra pipe work, therefore further cost savings should be made on installation. Regular boilers heat the central heating system directly and produce hot water for the cylinder; this was once the more popular choice and will be more common in older buildings where the system has not been updated. There are many more parts to a regular boiler, and so it takes up more space. It has a feed and expansion cistern and a cold water storage system located in the loft, which feeds a hot water cylinder, plus a main boiler itself and extended controls. A system boiler heats the central heating system directly and produces hot water from a cylinder, just like a regular (conventional) boiler, and works on the principle of stored hot water. There are some important aspects from which a system boiler differs to a regular boiler. The installation process of a system boiler is easier, quicker, neater and more efficient due to many of the major individual components of the system being built into the boiler. The boiler has a fast response and more economical running costs than other types of boiler, this is due to the hot water being pumped through the heating system to the radiators and hot water cylinder from the boiler. An experienced and qualified plumber will always be able to talk you through the pros and cons of boiler types and advise you on what is best for your property when deciding to renew or replace one. 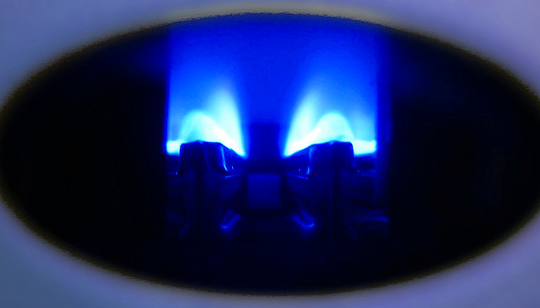 At a glance you will note that Combi boilers are best for cost effectiveness and space saving. This also makes them the most popular choice, but with bigger properties and more people their performance is affected. Regular boilers were once more popular, but being larger and more expensive to repair they have been surpassed. System boilers are noted as best for dealing with larger demands, like a three plus bedroom property, as they can deal with multiple functions at once without affecting the volume or temperature of the water supply. For more information about the different heatings systems that you can install in your property, get in touch by calling 0800 002 9991 or contacting us online. You are currently browsing the Home Cure blog archives for August, 2012.